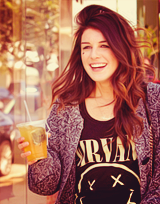 Shenae Grimes Beech #1 - "You make impacts by taking risks." I really can’t help what someone thinks of me because they are reading a paper and choosing to believe it. Since finishing 90210 and no longer being bound to a contract that requires me to stay looking within the pre-approved parameters of my “character”, I’ve let my inner freak flag fly a little bit and I’ve got to admit, I’m lovin’ it! The little teenage punk kid inside of me has been desperate to come out for years and I’m finally getting to explore the style I was never allowed to have. I grew up in a house doing charity work for homeless people, and my parents had a lot of homeless friends. We were always taught to not discriminate and not judge. I think you make impacts by taking risks. Just because people are calling you skinny doesn’t mean I’m like, ‘Yay!’ No! You’re telling me I don’t look right. This is me, this is my body - I have accepted it. I love older lady style. They dress for themselves everyday. In L.A., everyone is in their car all the time, so you're used to not interacting with people for the majority of the day, and it kind of trickles into nightlife and all that. People stay within their circles and there's no real mingling to be had. I don't define myself as an actor at all. Nor is that my greatest passion in life by any stretch of the imagination. I go to the gym in the morning without any makeup on. Sorry, guys, if you think I'm ugly, but I don't know anybody who goes to the gym with makeup on. 2005 ~ Biography → Teenage Shania Twain. 2005 ~ Kevin Hill → Katie Lassman. 2005 ~ The Power Strikers → Alexa Watson. 2006 ~ Skater Boys → Stacy. 2007 ~ 72 Hours: True Crime → Teenage Girl. 2005-2007 ~ Naturally, Sadie → Arden Alcott. 2008 ~ The Latest Buzz → Rebecca Harper. 2004-2008 ~ Degrassi: The Next Generation → Darcy Edwards. 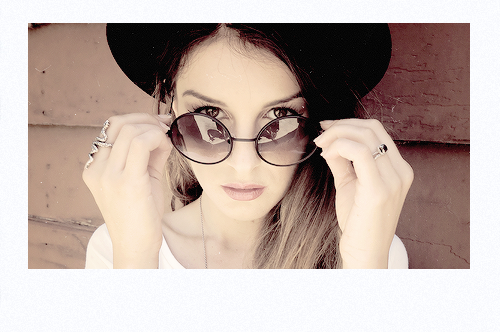 2012 ~ Punk'd → Herself. 2008-2013 ~ 90210 → Annie Wilson. 2005 ~ Shania: A Life In Eight Albums → Eilleen 13-16 years. 2008 ~ Degrassi Spring Break Movie → Darcy Edwards. 2008 ~ Picture This → Cayenne. 2008 ~ True Confessions of a Hollywood Starlet → Marissa. 2008 ~ The Cross Road → Bridget. 2009 ~ Dead Like Me: Life After Death → Jennifer Hardick. 2011 ~ Scream 4 → Trudie Harrold. 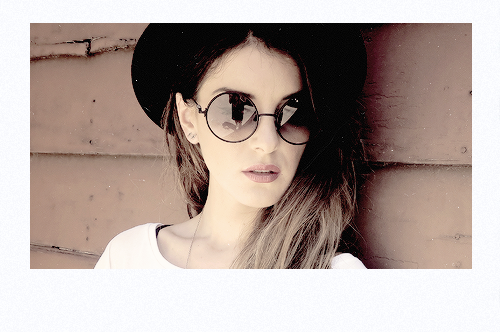 2013 ~ Empire State → Eleni. 2013 ~ Sugar → Sugar. 2014 ~ The Hazing Secret → Megan Harris. 2015 ~ Christmas Incorporated → Riley Vance. 2015 ~ Newlywed and Dead → Kristen Ward. She's done filming now, though I still don't know what she was working on. can my name be changed used to be jules! I like your new name. love this girl. gorgeous photos! ^ Thanks for doing that! I love that they are so in love! Right? She looks so happy. ETA: I wish there was a way to find this thread more easily.